The Skull Creek Boathouse is Hilton Head Island’s most awarded landmark waterfront restaurant. At Skull Creek Boathouse, you’ll enjoy beautiful views whether you choose to dine indoors or outdoors. The inside Dive Bar is a sushi bar which also features raw oysters, sashimi and ceviche. The outdoor Marker 13 Buoy Bar serves up colorful sunset views and the freshest, original drinks every day. Skull Creek Boathouse has received local and national awards for their Lowcountry inspired cuisine masterpieces, and has recently appeared on Food Network. Stop by for lunch, sunset supper, dinner, happy hour or weekend brunch! Executive Chef, Brad Blake, was featured on The Food Network’s Beach Eats, and his restaurant doesn’t disappoint as a crowd pleaser on the island. Live music, fantastic sunset views and informal island flair make it the perfect choice for a fun and memorable dining experience. For Chef Brad, the most important element of Skull Creek Boathouse is of course, the food. 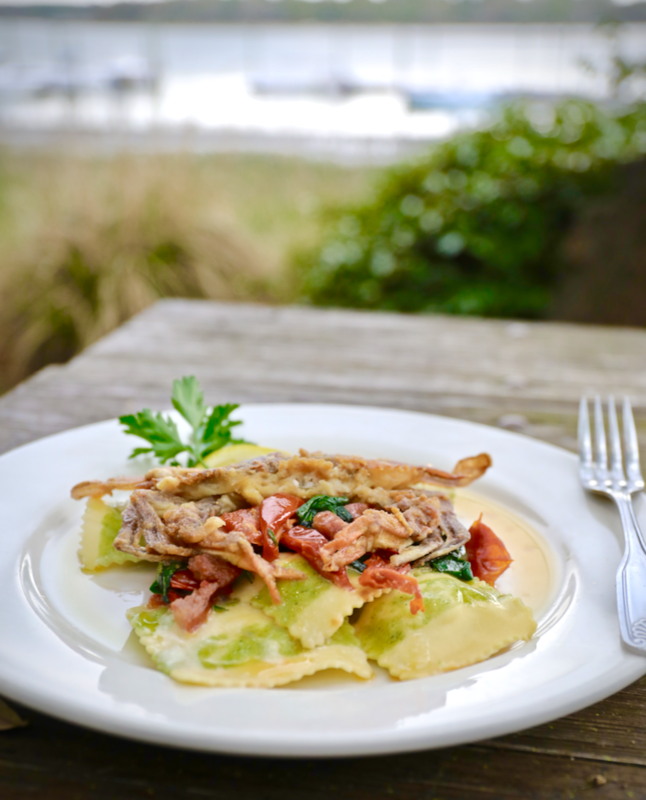 Read more to find out how local Soft Shell Crabs are prepared while they are in season below. All of our Executive Chefs at the SERG Restaurant Group take great pride in finding the absolute best ingredients to serve to our guests! 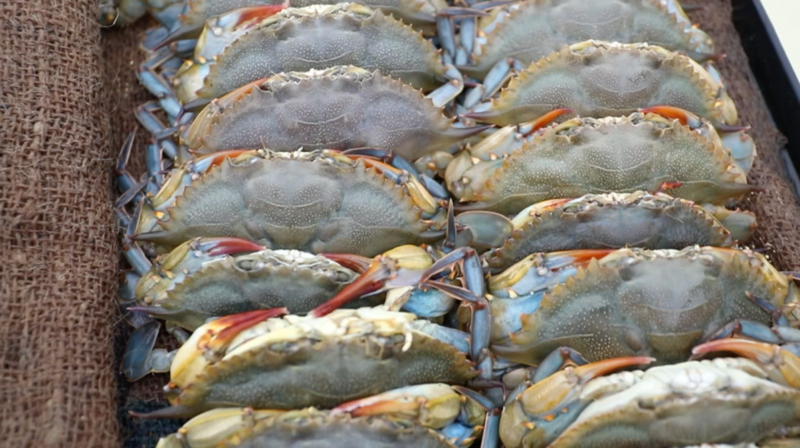 Watch the video to see Executive Chef Brad Blake with our friends over at Jimme Crab Company about their Soft Shell Crab. 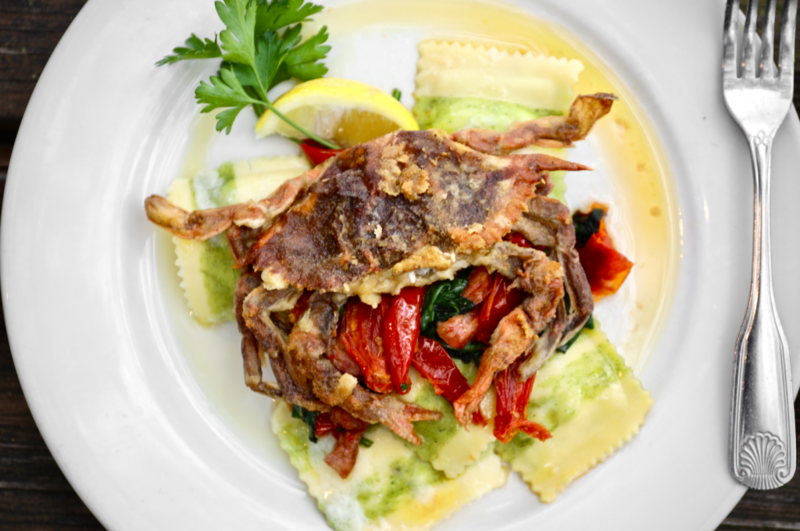 If you’ve never tried to at Soft Shell Crab, you’re not alone! Seeing a deep-fried, seasoned soft shell crab can be intimidating unless you’re a Lowcountry local. Chef Brad is here to show you the entire process of selecting the crab, preparing it for cooking, and of course a featured entree! 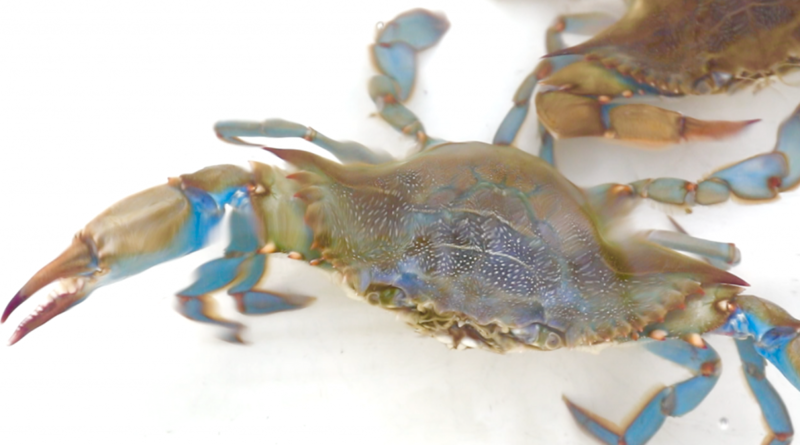 Female blue crabs have red tipped claws, male typically all blue. 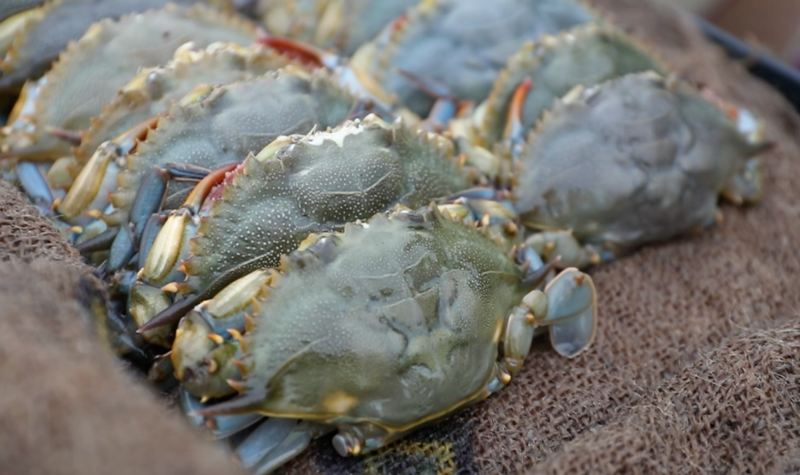 Blue crabs may be found in other locations other than the Lowcountry—larval and juvenile crabs have been known to attach themselves to ship hulls or be transported in a ship’s water ballast. Because of the crab’s physiology, there is a harvesting process that is unique: the crab MUST be removed from the water immediately after shedding its shell. If it remains in the water the shell starts to harden. If the crab stays in the water just a short time after molting, the skin gets a bit tough and almost leathery. Harvesting a soft shell is by luck. 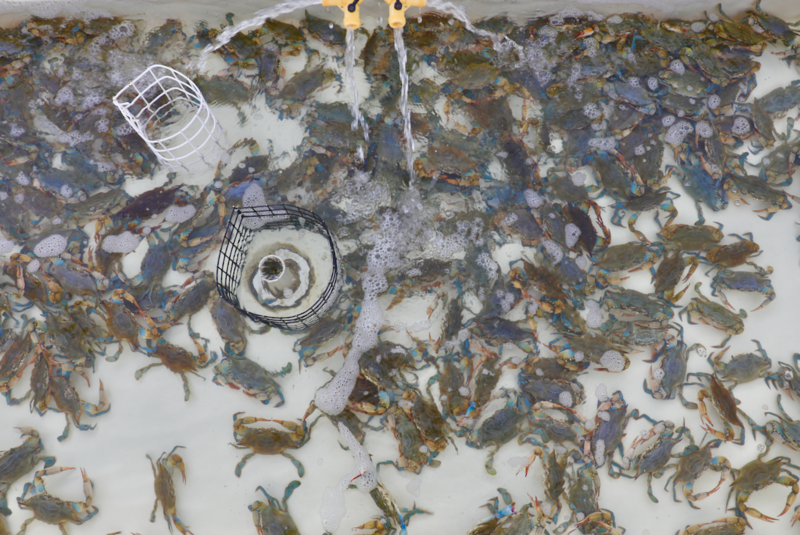 Commercially crabs are harvested during their hard shell stage and put into ‘shedding tanks’ on land with either filtered recalculating water or water circulated directly from the ocean or bay, or in floating cages called ‘shedding floats’ in bays or estuaries. In any method, the crabs must be checked every couple of hours to remove them at the peak of quality.